The EMP 340W is another selection among the EMP family. 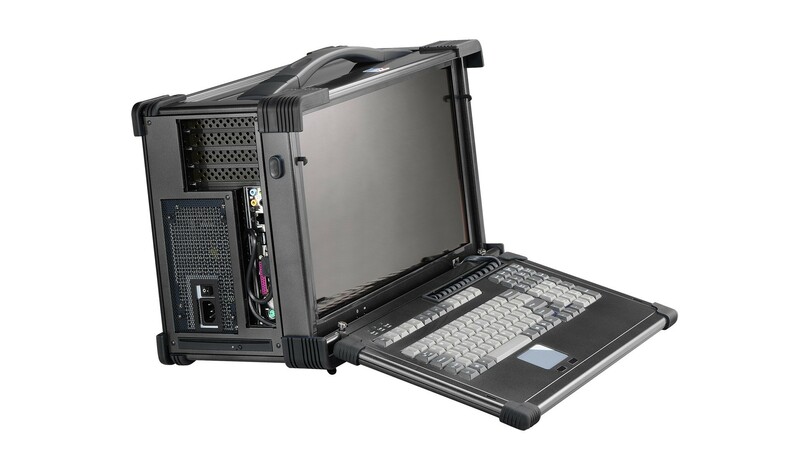 Its chassis is built using heavy duty metal to provide a tough, go-anywhere unit ideal for harsh environments and mission-critical applications. This EMP features up to 4 full-length expansion slots. The LCD screen of the EMP is guarded with a specially treated anti-glare tempered glass for added protection. Our engineers can handle modifications to your special needs with ease. Its flexibility, value, and rugged construction to withstand bumps and impacts make the EMP series the best portable SKD for you.